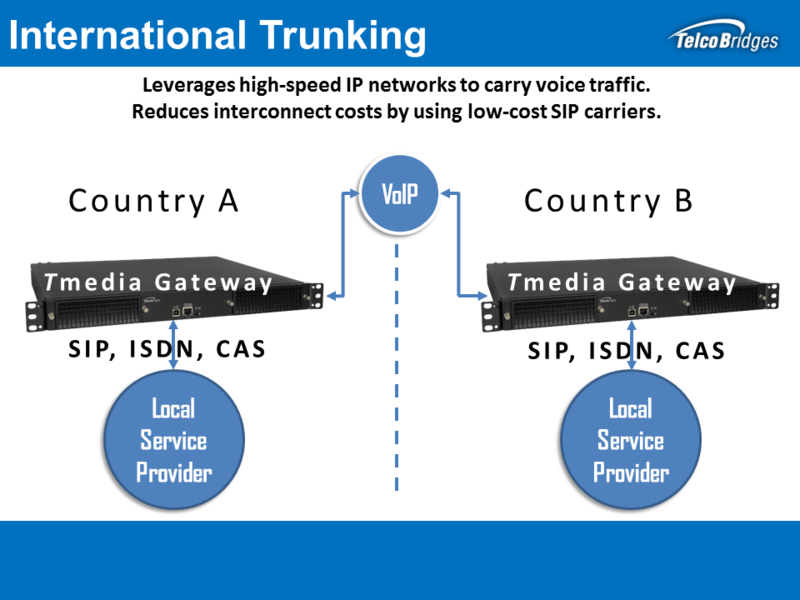 International VoIP Media Gateway Carriers can trust TelcoBridges' Gateway products for converting Media (TDM/IP) to transport voice over the internet. Our solutions are SS7, have high capacity, and offer full VoIP channel capacity as well as Echo cancellation on all channels. As demands on carrier networks continue to expand, our technology and support offerings are rapidly becoming the solution of choice for tier-1 carriers, who demand high performance and low risk. We expect that additional Tier 1 carriers will turn towards TelcoBridges in the year ahead. SS7 allows our gateways to be Seamlessly integrated with existing TDM infrastructure, greatly simplifying deployment and maintenance. Our Solutions offer very high capacity in order for you to maximize your operational savings. Savings in rackspace, power, maintenance, monitoring, sparing, and logistics all equal increased efficiency and greater margins. By using the full capacity of the VoIP Channel you can simplify your network design and lower capital expenditures, again providing gains in efficiency. TelcoBridges is committed to quality and this is reflected in our products as well. Echo Cancellation allows for higher voice quality and thus improves the quality of your services. TelcoBridges has Echo Cancellation on all channels for maximum voice quality to help differentiate you from your competition.